The Central Direct route follows the buttress above the snow all the way to the High Peak of Rolleston. 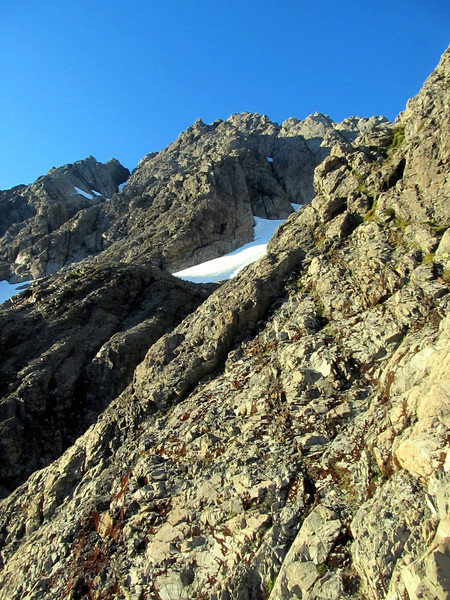 We climbed the green bluffs below the snow field to gain the bottom of the buttress. This picture is taken from an unintended detour.